2012 Husqvarna Concept E-go. Picture credits - Husqvarna. Submit more pictures. This is Husqvarna�s vision of an electric bike for the modern world. Made for urban commuting, riders get all the typical Husqvarna features: an explosive mix of onroad, offroad and supermotard experience. Frame type: Oval steel tube. Rear suspension: Single-sided aluminium swingarm. Hydraulic rear shock unit. Wheels: Aluminium rims, 17 inches. Comments: Coaxial traction system as used by Husqvarna TE449. Prototype presented at the Frankfurt IAA. Ask questions Join the 12 Husqvarna Concept E-go discussion group or the general Husqvarna discussion group. Click here to sell a used 2012 Husqvarna Concept E-go or advertise any other MC for sale. 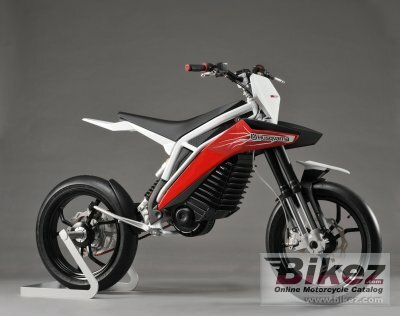 You can list all available Husqvarna Concept E-go bikes and also sign up for e-mail notification when such motorcycles are advertised in the future. Ads with or without pictures are easy to create. Our classifieds are completely free with sections for every country in the world. You can also check out our list of related motorbikes. Compare technical data. Look at photos. View your fellow riders' rating of the bike's reliability, design, engine performance, accident risk, repair cost, etc.